Japan Pocket Wifi vs Sim Card: Which One Should You Choose? The importance of connection becomes even more apparent with the necessities of travel. Japan is known for its high speed connections and the cutting edge technology in general. But don’t rely on free wifi hotspots here. It isn’t as widely available as in some other countries. While you can access them easily in major cities, there are other factors to consider such as the lack of signal in subways and underground stations. No worries though. There are two most common options that lets you have internet all to yourself all the time while you’re exploring Japan. Let’s review both of these options. A small, compact, and portable wifi router is more commonly known as “pocket wifi” here in Japan. The device is extremely convenient to bring anywhere. Most services would give you a portable charger in a form of a power bank with no extra charges. Even the cheapest one comes with a small nice bag that contained and organized all of the devices included in your pocket wifi order. Just like in any other place, the sim card comes in three sizes that you can choose during your sim card order. The prices between a 7 day and a 14 day sim card purchase are generally not very different, if there is a difference at all. Prices differences is usually the factor of how much data you’re allowed before the unlimited internet connection is throttled down into a certain speed. But don’t worry, the data allowance is per-day basis. And internet is going to go to full speed after its reset the next day. There is a matter of price to be considered when choosing between pocket wifi and a sim card. Getting a sim card for your means of connection in Japan is generally cheaper. However, this can change according to several factors. How many people you’re traveling with? How many devices you need to connect to the internet at the same time? If you’re traveling with say, a group of four to eight people, getting a pocket wifi would be a better economical option. If you’re traveling with a laptop and a phone, getting a sim card should be sufficient as you can tether your phone’s internet connection to your laptop. It’s a different matter when you needed to connect to multiple devices at once. But for the average travelers who don’t need to deal with multimedia on a daily basis during their travel, this shouldn’t be a problem. When you’re traveling in groups, consider whether you’re going to go separately into smaller groups at any point in your travel. 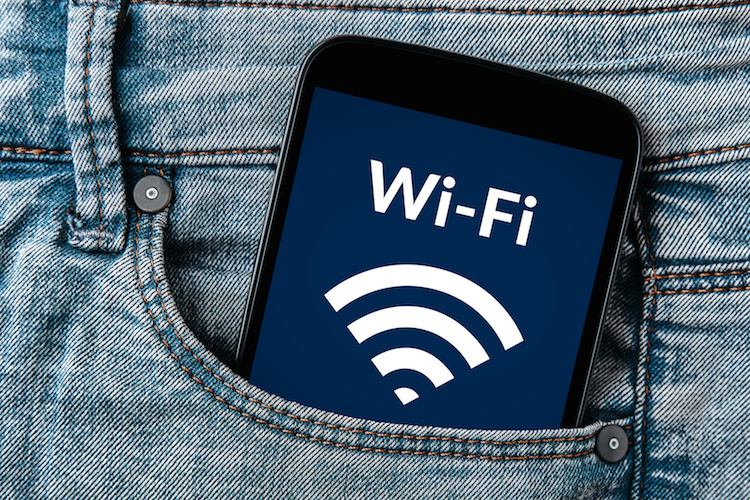 If that is the case, then pocket wifi may not be an ideal option as you needed to be close to each other to get the signal connection.